Tintable special primer under subsequent coats of decorative effect paint CapaGold or CapaSilver. Highly water vapour permeable, tintable special primer for interior and exterior use. Suitable for covering priming coats on organic and mineral exterior renders/plasters and on slightly textured substrates before applying coats of CapaGold and CapaSilver. 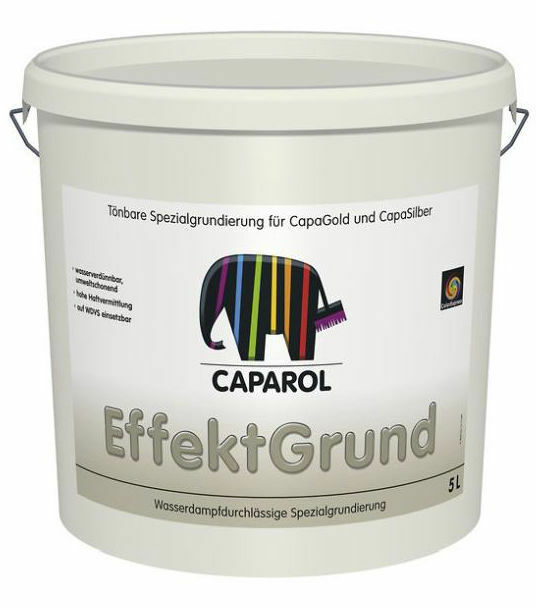 Suitable for full surface application on ETICS/EWI systems.